If you are looking for a home in Dallas area, look no further than Susan!! She is simply amazing at making the entire process simple, easy, and fun. While being a completely professional in her approach to the negotiation on your behalf. Susan was able to get us into the house we wanted, at the price we wanted, and run the entire process for us while keeping us positive when we started having challenges from the owners. I could not have asked for a better outcome for our move and the truth is moving your family cross country is stressful, Susan made at least one part absolutely great! I will continue to use her as long as I am in this area, and recommend her to ANYONE in the area. Thanks so much!! Susan gave us great attention and service. Whenever we needed her or her advice, she was quick to answer. She was always up front with us about our expectations, and spoke to us honestly, even when she was delivering bad news. She knows the local market and the neighborhoods incredibly well; we had complete confidence in her recommendations. A great realtor all around. We highly recommend her. I cannot say enough good things about Susan. She helped us find our home in Dallas and did an amazing job. She took the time to understand what we were looking for and used what we liked about certain houses to ultimately suggest a builder that we’d never heard of, but that fit our tastes to a tee. She was responsive and did a great job of negotiating extras for us as well as a great price on our home! I would definitely recommend Susan to any of my friends. Susan has been exceptional to work with. She is professional and hardworking and really knows how to buy and sell houses. She is always easy reach and quick to return an e-mail or a phone call. She is very direct (in a good way) and is a wealth of information and great advice. We enjoyed working with her and are very pleased with the results. Susan was recommended to us by our friend. We interviewed several realtors and selected Susan. She really stood out for her experience, knowledge, enthusiasm and expertise. Susan did the job of getting our home sold quickly and efficiently and was a great help to us throughout the process. We continue to recommend her to anyone who asks without reservation. She’s excellent. Susan was great to work with when I was looking for a downtown property. She was ready to get up and go see any/all properties that we found interesting, and she did her homework, knowing many details about the local area and even the history of the area. Susan is a true local expert and will be very helpful for you as you move toward your dream of owning, selling, or upgrading your home! I worked with Susan on the purchase of a townhome in the Plano/Frisco/ McKinney area. She was extremely patient, finding many listings while also expanding the search area to find what I truly wanted. She made home shopping a pleasant experience! I would use Susan again in the future. Susan was my realtor when we were looking to purchase a home in Dallas, Tx. Susan’s knowledge in real estate was extraordinary and she was able to show us what to look for in the area we were interested. She was able to recommend financial options to us when our bank financing was too slow to respond. I wouldn’t hesitate to recommend Susan to any person who is looking to buy or sell a home. Thanks Susan! Susan helped us buy our beautiful home in Frisco, Texas. She were very knowledgeable about the real estate market in the area, she were always upfront and gave her honest opinion as we short listed the properties during the home search. We gave her a profile of the property we wanted, she always visited the property of interest prior to showing to ensure it met the profile. Susan helped us with purchasing our first home in McKinney. As many of first time buyer, we knew nothing about the process and were very concerned about making such big step in our lives and with our money. Susan went through the various options and opinion about the different neighborhoods. In the end we found our perfect home. Susan has been the most professional realtor I have worked with. She has vast knowledge of the local market and was very responsive to all our requests. We have used Susan for three separate real estate transactions over the years and would use her again in a heartbeat! We have recommended her to several close friends and business associates. Highly recommended! Susan was the key to making a very stressful situation manageable. We had to let our home go via a short sale and Susan understood the process and smoothed the edges. I highly recommend her skills. Susan worked relentlessly in finding us the right home. She has a outstanding understanding of how technology works to make the search and purchase easier especially since we were not in the home state at the time. Susan never used high pressure to promote a deal, instead she listened and focused on the wish list and put her efforts into finding what we wanted. She was always pleasant and willing to go the extra mile for us. Susan is very authentic, creative and truly a pleasure to work with. She took the time and effort to really understand what we wanted and needed in a home. She guided us through our search in a very short time and answered every question we had along the way. With her extensive knowledge and experience, she was able to help us navigate through all the many details of the purchase transaction with ease. Susan is the consummate realtor and a great person!!! We highly recommend her. Susan took charge and made things happen in a tough housing market and coordinated the buy of one house and selling of another within the same month! Works well under a lot of pressure. We highly recommend her! Susan was very easy to get along with. Her relaxed and confident attitude rubbed off, and helped us feel relaxed and confident too. She is knowledgeable, professional, attentive, and straightforward. We sold our house in 11 days for full asking price – it doesn’t get any better than that! We would recommend her to any of our friends! Susan was truly dedicated to helping us find the perfect home for us. She worked tirelessly to make sure we had a great experience and made the whole process easy. She loves what she does and it shows! Susan is smart, artistic, ambitious, and sensitive. She was great! We were completely satisfied with the level of service she provided and will not hesitate to use her again and/or refer her in the future. Working with Susan to sell our condo and buy a new one couldn’t have been a better experience! She took care of all the details and made a process (that could have otherwise been very stressful) easy and fun. It’s also worth mentioning that if it wasn’t for Susan, we would have definitely over-paid for our new place. Her market knowledge, research and advice saved us from making a huge mistake on a poorly-priced property we fell in love with. Luckily, thanks entirely to Susan’s negotiating skills, we were able to secure our dream home at a great price. My husband and I have been living there for a couple of years now and we couldn’t be happier. 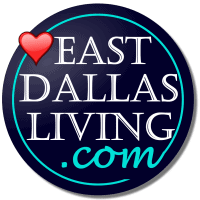 Susan Georgeson helped us find our dream home when we relocated from Delaware to the Dallas area. She was always prompt in responding to our questions and knows the area and school districts expertly! She works hard for her clients and we give her our highest recommendation! Susan is perfection! She was up late taking calls and text messages as we were overly anxious about finding the right home. A year after we moved in, she sent us a book of our former house — where we had brought our babies home. So thoughtful and special. Susan is gracious but still just the right amount of persistent advocate. Love, love her! After 3 years of having my large country estate west of Fort Worth on the market with two other agents doing nothing. I terminated my listing and hired Susan Georgeson. What a breath of fresh air! From day one, Susan flipped that whole situation around. New pictures, videos, drone views, extensive marketing and phone calls and suddenly many interested buyers for my property. I had more viewings the first two weeks than I had with the previous two agents in 3 years. In no time, I had two buyers bidding against each other and the sale closed 30 days later. Susan is the best! Even with her office is in the Dallas area, she drove to Fort Worth for every single showing. Whenever it was requested, she was there! My hat off to that lady.